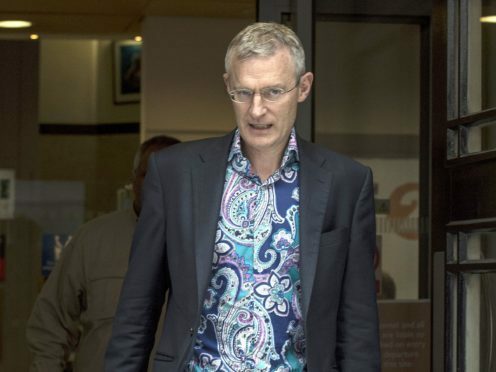 Broadcaster Jeremy Vine has thanked well-wishers for their support following the death of his father Guy. The BBC Radio 2 host shared a photo on social media of his late father as a younger man. Above the photo Vine wrote: “Thank you for the kind messages about my father, who died yesterday. I can’t begin to describe how much I loved him. Vine’s father was a civil engineering lecturer at North East Surrey College of Technology. His mother Diana was a doctor’s receptionist. Vine’s siblings are the comedian Tim Vine and the actress Sonya Vine. Paddy O’Connell sat in for Vine on his weekday phone-in show on BBC Radio 2 earlier on Thursday. Vine’s new eponymous TV talk show is set to begin on Channel 5 on September 3. It is set to replace the channel’s long-running daily show The Wright Stuff, which was hosted by Matthew Wright for 18 years. Wright announced his departure in May. It is unclear whether the programme’s start date has been affected in any way. A representative from Channel 5 has been contacted for comment.